From humble beginnings, Lombardi Leather is dedicated to the craft of designing and making goods in what we refer to as the "New American Classic" style, where an artistic interpretation and amalgamation of vintage and antique designs are expressed in our finished goods. The wandering path we take to discover new ideas, source the finest available materials, and to understand the ultimate purpose of our goods is the continuum in which we live. It is a passion fulfilled and we are pleased to share the experience with you. The three basic elements in our craft. Time proven. Classic. Beautiful when transformed by the hand of a skilled artisan. Alone, or in combination, these basic elements make for a uniquely natural and complimentary palette from which we create. Sourced from the finest American goods, our handcrafted buckle-free belt brings elegance and comfort to it’s eclectic cinch knot design. 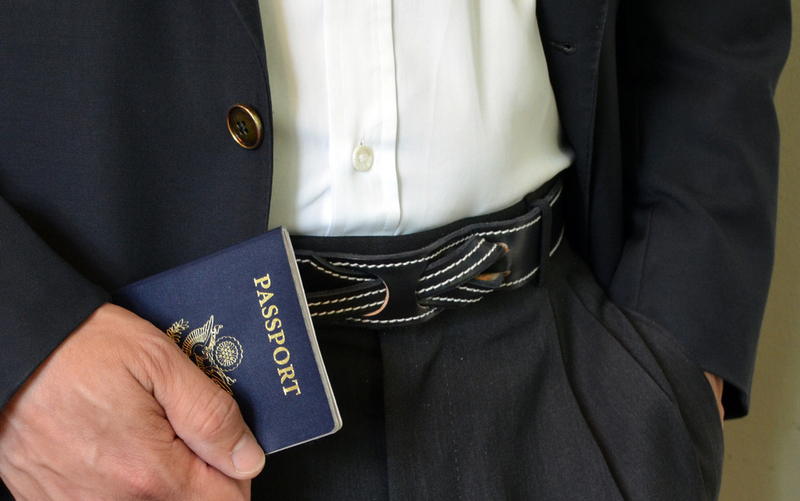 "This one-of-a-kind belt turns heads wherever we go."